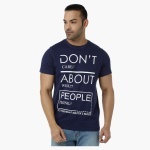 Highlight your trendy look with this attractive t-shirt. 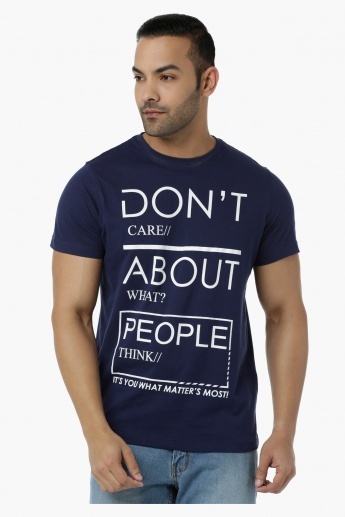 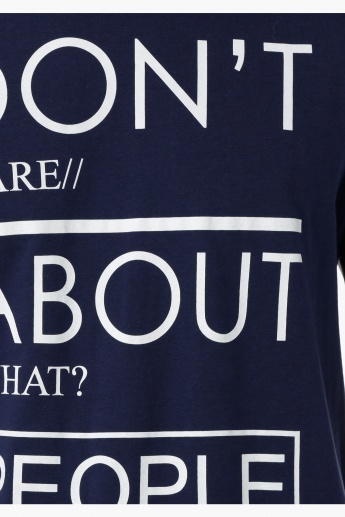 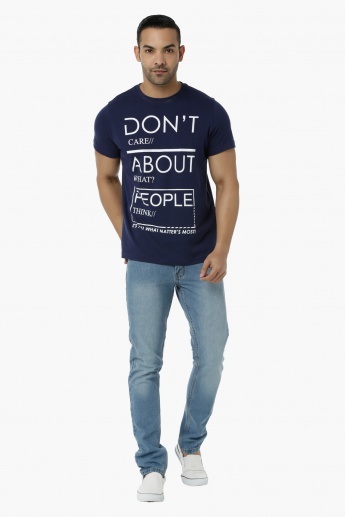 Sporting a typographic print at the front, it carries a stylish appeal. 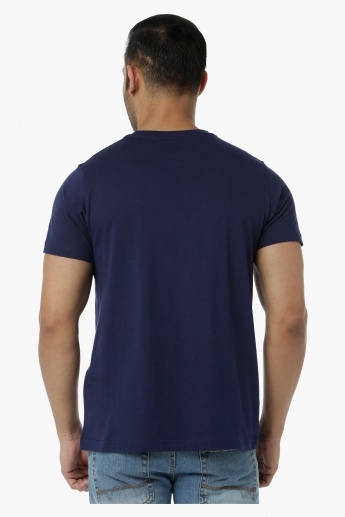 The round neck and short sleeves ensure comfortable usage.